New research findings have provided vitals clues as to why heart-based stem cells differentiate into muscle or blood vessels. Such a discovery might hold the key to better treatments for heart attacks in the future. Human heart tissue lacks the capacity to heal after a heart attack and instead of reforming heart muscle; it tends to form a non-contracting heart scar. Stem cells in the heart can augment the healing process and direct the heart to make heart muscle and blood vessels rather than scars, but why this does not normally occur is unclear. Particular physicians and their colleagues have shown that introducing heart stem cells into the heart can reduce the formation of heart scar tissue and increase the regeneration of heart muscle. However, uncovering the molecular switch that directs the fate of these cells could result in even more effective treatments for heart patients. A recent report has shown that scientists who have manipulated a protein called “p190RhoGAP” managed to direct the differentiation of cardiac stem cells to become either blood vessels or heart muscle. Members of this research group even said that altering levels of this protein can affect the activities of these stem cells. Earlier in 2012, a medical team at Cedars-Sinai Medical Center in Los Angeles, CA reported reductions of scar tissue in heart attack patients after harvesting some of the patient’s own cardiac stem cells, growing more of these cells in the lab and then transfusing them back into the patient. Using the stem cells from the patient’s own heart prevented the rejection problems that often occur when tissue is transplanted from another person. The goal of Levchenko’s research is to determine what directs the stem cells, at the molecular level, to change into helpful heart tissue. Answering this question could improve the results from experiments like the one done at Cedars-Sinai and boost regeneration in the heart after a heart attack to an even greater degree. Levchenko’s team (from Johns Hopkins) tried to change the surface upon which they grew the harvested cardiac stem cells. Surprisingly, growing the cells on a surface that had a similar rigidity to that of heart tissue caused the stem cells to grow faster and to form blood vessels. The increase in growth was substantially greater than that observed with any other protocol with regard to these stem cells. The increased population growth on such a medium also gave prominent hints as to why the formation of a cardiac scar (a structure with very different rigidity), can inhibit stem cells that reside there from regenerating the heart. By digging further into this phenomenon, the Johns Hopkins group found that the increased cell growth under these conditions was due to decreases in the levels of a protein called p190RhoGAP. This same molecule, when absent, could also direct stem cells to form blood vessels. Can such findings make a difference in the treatment of living beings? To get a handle on the clinical consequences of this finding, Levchenko’s group limited the production of p190RhoGAP in cardiac stem cells not within a culture dish, but inside the heart of a living animals. The cells with less 190RhoGAP integrated more smoothly into an animal’s blood vessel networks in the aftermath of a heart attack. Also, more of these transplanted heart cells survived, compared to what had occurred in earlier cell-growing procedures. Kshitiz said that the special heart-like surface on which the cardiac stem cells were grown triggers regulation of the master molecule, and this then guides the next steps in differentiation. See Matrix Rigidity Controls Endothelial Differentiation and Morphogenesis of Cardiac Precursors;” Kshitiz et al; Science Signaling, 2012; 5 (227): ra41 DOI: 10.1126/scisignal.2003002. A detailed review article in the June issue of Plastic and Reconstructive Surgery, the official medical journal of the American Society of Plastic Surgeons, has examined the safety and clinical efficacy of fat-derived stem cells. Stem cells from fat, also known as ACSs, are a promising source of cells for use in plastic surgery and regenerative medicine, according to this review, but there are still many questions that remain about them. Much more research is needed in order to completely establish the safety and effectiveness of ASC-based therapies in human patients. The review article was written by ASPS Member Surgeon Rod Rohrich, MD of University of Texas Southwestern Medical Center, Dallas, and his colleagues (Dr. Rohrich is Editor-in-Chief of Plastic and Reconstructive Surgery). ASCs are very easily procured from humans, since simple procedures such as liposuction can provide more than enough material for therapies. On the average, one gram of fat yields about 5,000 stem cells, whereas the yield from the same quantity of bone marrow is about 1,000 cells (B. M. Strem, K. C. Hicok, M. Zhu et al., “Multipotential differentiation of adipose tissue-derived stem cells,” Keio Journal of Medicine, vol. 54, no. 3, pp. 132–141, 2005.). Once isolated from the fat, ASCs have the capacity to form fat cells, but also bone, cartilage and muscle cells. Rohrich and others conducted a rather in-depth review of all known clinical trials of ASCs. Thus far, most studies have been performed in Europe and Korea, and only three in the United States, to date. This reflects the stringency of FDA regulations. Most ASC clinical trials to date have been examined the use of ASCs in plastic surgery. In this case, plastic surgeon-researchers have used ASCs for several types of soft tissue augmentation (breast augmentation, especially after implant removal and regeneration of fat in patients with abnormal fat loss or lipodystrophy). Studies exploring the use of ASCs to promote healing of difficult wounds have been reported as well. ASCs have also been used as in so-called soft tissue engineering or tissue regeneration. In these cases, the results have been inconclusive. Other medical specialties have also made use of ASCs as treatments for other types of medical conditions. For example, ASCs have been studied for used to treat certain blood and immunologic disorders, heart and vascular problems, and fistulas (abnormal connection between an organ, vessel, or intestine and another structure). There are some other studies that have examined the use of ASCs for generating new bone for use in reconstructive surgery. A few studies have reported promising preliminary results in the treatment of diabetes, multiple sclerosis, and spinal cord injury. Perhaps one of the most encouraging results was the complete absence of serious adverse events related to ASCs in any of these studies. Bone production by stem cells is usually the domain of bone marrow-derived stem cells. However, fat-derived stem cells can make bone in culture, although they do not seem to be as efficient at making bone as bone marrow stem cells. Nevertheless, some enterprising stem cells scientists have designed protocols for using purified adipose-derived stem cells to make high quality bone tissue faster than the currently-used methods. The new technology may someday eliminate the need for painful bone grafts that use material taken from the patient during invasive procedures. Fat is thought to be an ideal source of MSCs, since they are plentiful and easily acquired by liposuction. Traditionally, cells taken from fat had to be grown in culture for weeks in order to isolate the bone-making stem cells. Unfortunately, the expansion of these cells increases the risk of infection and genetic instability. However, a fresh, non-cultured cell composition called stromal vascular fraction (SVF) is also used to grow bone, but SVF cells extracted from fat constitute a highly heterogeneous population that includes cells that do not have the ability to make bone. To solve this problem, researchers used a cell sorting machine to isolate and purify human perivascular stem cells (hPSC) from adipose tissue and demonstrated that these purified cells worked far better than SVF cells in bone-making assays. In addition, they also showed that a growth factor called NELL-1 enhanced bone formation in their animal model. In the animal model, Soo and colleague Bruno Pйault placed hPSCs with NELL-1 in a muscle pouch (a location where bone normally does not grow). They then used X-rays to show that the cells did indeed become bone. Conceivably, patients may one day have rapid access to high-quality bone graft material by which doctors extract some of the patient’s fat tissue, purify the hPSCs from it, and then replace their own stem cells with NELL-1 back into the area where bone is required. The hPSCs cultured with NELL-1 could grow into bone inside the patient, which eliminates the need for painful bone graft harvestings. The goal is to isolate the hPSCs and add the NELL-1 with a matrix or scaffold in order to aid cell adhesion, all in less than an hour. Within almost every cell in your body are small vesicles called mitochondria that act as the powerhouses of the cell. Chemical energy is synthesized in the mitochondria, and without these vital structures, the ability of the cell to do all the incredible things that it does goes away. Cells are chemical and biological marvels but all the things they do require energy. Cells make their energy from energy-rich food molecules such as sugars, amino acids, and fats. Cells degrade these energy-rich food molecules to smaller molecules, and harvest the released energy in the form of high-energy electrons and am energy storage molecule called “ATP.” ATP stands for “adenosine triphosphate,” and this molecule as a series of high-energy phosphate anhydride bonds that store energy. The high-energy electrons are carried by electron carriers and these carriers give their high-energy electrons to electron transport chains that are embedded in the membranes of mitochondria and the electrons are passed through the electron transport chains, ultimately to molecular oxygen, which makes water. Passing the electrons down the electron transport chain to make water releases a whole lot of energy that is captured and stored in the form of ATP. Thus mitochondria are the “powerhouses” of the cell. Mitochondria, however, pay a price for their assiduous energy making. All their exposure to oxygen (a toxic molecule under various conditions) and versions of oxygen with extra electrons (known as reactive oxygen species or ROS) tends to damage the mitochondria over time. 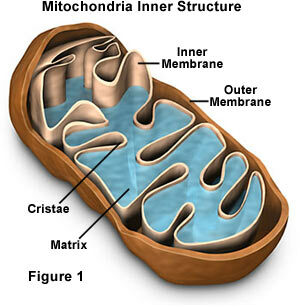 With time, the mitochondria become to damaged that they are unable to make energy for the cell. Cells that cannot make energy are of no value to the body. How do you fix what has been broken? Cells have ways to destroy damaged mitochondria (autophagy) and working mitochondria also have the capacity to divide. However, what if the mitochondria become collectively so damaged that the cell cannot make its own energy? New work shows that stem cells can come to the rescue. A paper in the journal Nature Medicine (18(5)) by Mohammad Naimul Islam and colleagues from the laboratory of Jahar Bhattacharya at the College of Physicians and Surgeons of Columbia University, New York, has discovered something potentially ground breaking. 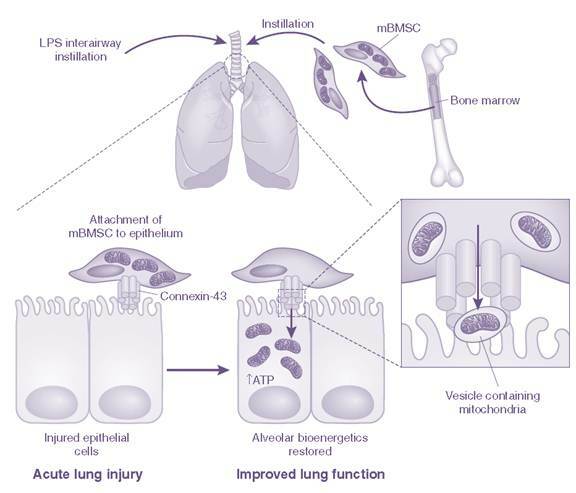 The paper, entitled “Mitochondrial transfer from bone-marrow–derived stromal cells to pulmonary alveoli protects against acute lung injury” used a mouse model to study lung damage. They sprayed a molecule from bacteria into the respiratory systems of mice. This molecule, lipopolysaccharide (LPS) is found in the outer-most membrane of certain types of bacteria, and production of this molecule and its distribution throughout the body causes tissue damage and inflammation. After spraying LPS into the lungs, they added bone marrow-derived stem cells from mouse or human bone marrow to help mitigate the damage induced by exposure to LPS. They used live optical studies to examine the nature of the interaction of bone marrow MSCs with respiratory cells. 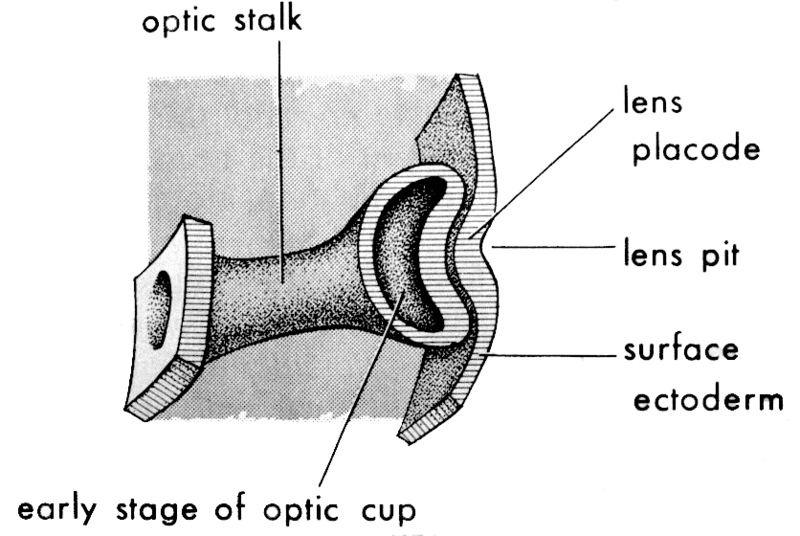 Optical viewing of the respiratory tract showed that intimate connections were made between the stem cells and the respiratory cells. These connections consisted of special channels that are normally found between cells that are in the process of transferring materials between each other. The astounding result was that the connections between the stem cells and respiratory cells showed the transfer of mitochondria from the stem cells to the respiratory cells. The transfer of mitochondria resulted in increased concentrations of ATP in respiratory cells and also decreased the signs and symptoms of inflammation within the respiratory tract. Mutant stem cells that had defective mitochondria were not able to abrogate the damage to the respiratory system. This is a significant finding, since as well as being the powerhouse of the cell, mitochondria also control the onset of programmed cell death. Fresh, new mitochondria probably rejuvenate the cell by preventing the onset of programmed cell death, and refurbishing the energy-production machinery of the cell. This significant finding elucidates what might be a major mechanism of how stem cells heal damaged tissue. The digestion of food and other metabolic processes necessary for the maintenance of our bodies produce waste products that must be routinely removed. Without proper removal of these metabolic waste products, they will build up in concentration and poison the organs and tissues. In the human body, two organs work to dispose of wastes. The liver processes wastes in order to make them more water-soluble. Waste products that are not water soluble are excreted into the bile. Bile is made by the liver and stored in the gall bladder. When we eat fat-soluble food molecules, bile helps solubilize the fatty materials so that enzymes can degrade them. Bile is also used to dump things the body no longer wants into the intestine so that they can be excreted rom the body. The second organ that excreted water-soluble materials is the kidneys. The kidneys filter the blood and concentrate the waste products into a fluid called urine. Urine is excreted by means of the urinary tract. Kidneys are composed of 800,000 to 1.5 million tiny units called nephrons. Nephrons are small structures that are composed of a series of tubes. The front end of the nephron is inflated into a cup-shaped structure that is fed by a knot of tiny blood vessels. The walls of these blood vessels is very porous and the fluid of the blood and many things dissolved in it move from the blood vessels into the nephron, The long tubules of the nephron recapture water and precious ions while leaving the wastes. Eventually the concentrated fluid, urine, is deposited into a tube called the ureter that connects the kidneys to the urinary bladder. In the United States, 10% of the population is afflicted with some kind of chronic kidney disease. Regenerative treatments for the kidneys are in their infancy. The developing kidney contains a robust stem cell population, but soon after birth, the stem cells form nephrons and are essentially all used up. However, researchers at Washington University School of Medicine in St. Louis, Missouri have identified two proteins in mice and humans that are required to maintain a supply of stem cells in the developing kidney. Manipulation of these proteins might provide a means to maintain or even renew a stem cell population in the kidney. These two proteins, Fibroblast Growth Factor-9 (FGF-9) and Fibroblast Growth Factor-20 (FGF-20), allow mouse kidney stem cells to survive in culture longer than previously reported. Though the cells were maintained only five days (up from about two), this work is a small step toward the future goal of growing kidney stem cells in the lab. Herein lies the reason why regenerative medicine in the kidney is behind other tissues: the skin and the gut have small pools of local stem cells that continually renew these organs throughout life. 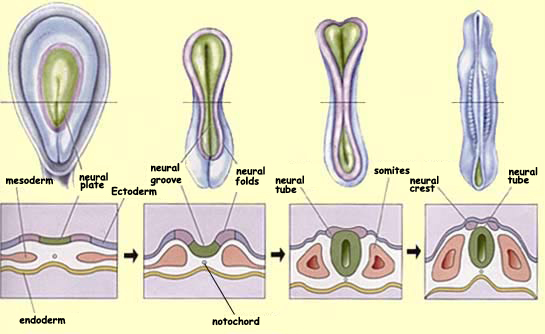 A term used by scientists for such a pool of local stem cells that support a system is a “stem cell niche.” During early development, the embryonic kidney has a stem cell niche, but later in development, possibly shortly before or shortly after birth; all stem cells in the kidney differentiate to form nephrons. This leaves no stem cell niche. Past work from his own lab and others suggested that FGF9, a closely-related cousin of FGF20, might also participate in kidney development. In general, members of the FGF family are known to play important and broad roles in embryonic development, tissue maintenance, and wound healing. Mice that lack FGF9 have defects in development of the male urogenital tract and die after birth due to defects in lung development. Since FGF9 and 20 are so closely related, Ornitz and Sung-Ho Huh, Ph.D., a postdoctoral research associate, and former postdoctoral researcher Hila Barak, Ph.D., thought the two proteins might serve overlapping, redundant functions in the developing kidney. Essentially, the two proteins might compensate for each other if one is missing. The next logical question, according to Ornitz, was what happens when both are missing. The results confirmed these hypotheses. “When we examined mice lacking both FGF9 and FGF20, we saw that the embryos had no kidneys,” Ornitz said. In humans, the role of these proteins came from genetic studies in families that showed a marked propensity for their children to have kidney problems. Collaborators in France identified two families that lost more than one pregnancy because the fetuses developed without kidneys (renal agenesis). Analyses of DNA from the fetuses that had died from renal agenesis showed mutations in four genes known to be involved in kidney development. One of these mutations resulted in the total loss of FGF20. This analysis confirmed the mouse studies, but also underscored an important difference between humans and mice: in mice, FGF9 appears to compensate for a total loss of FGF20, but in humans, fetuses that develop without kidneys had normal FGF9. This suggests that the two genes do not completely compensate for each other in human kidney development. A new study has examined the ability of olfactory neural stem cells to differentiate into different cell types and the efficacy of this stem cell population in regenerative treatments. 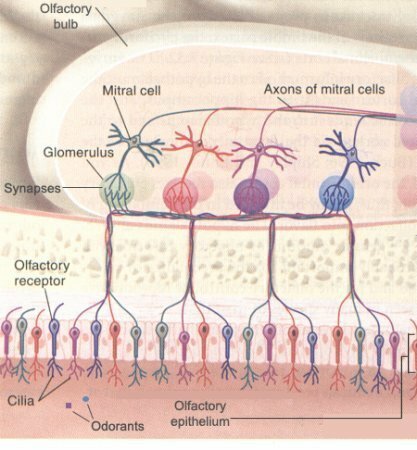 Olfactory neural stem cells are highly proliferative (they grow fast) and they are easily harvested by means of a biopsy procedure that is minimally invasive. Because these cells are constantly replaced throughout someone’s lifetime, they are quickly replaced, and can even be grown in tissue culture. When grown in culture, the olfactory stem cells form clusters of cells that grow as hollow balls of cells called “neurospheres.” These neurospheres contain stem cells that have the ability to differentiation into several different cell types. The specific cell type formed by the stem cells in the neurospheres is determined by specific signals from the immediate environment. 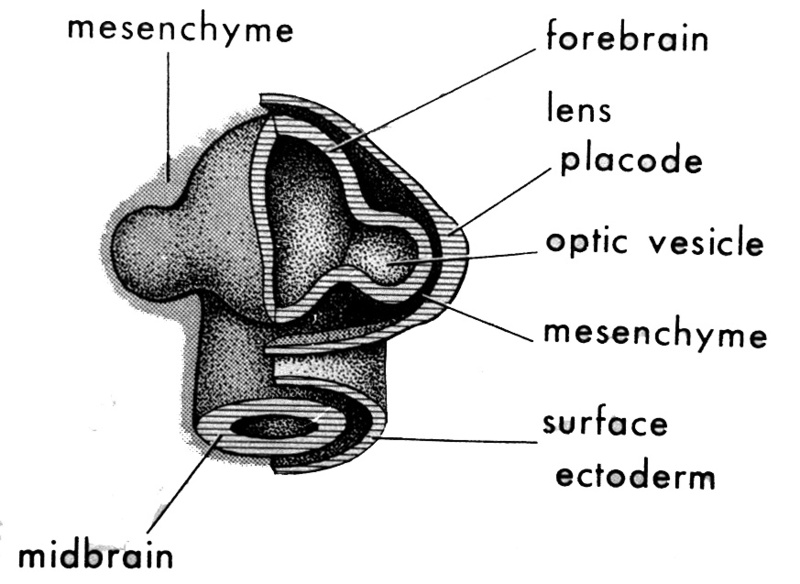 Wetzig noted that olfactory stem cells grew well in culture, but when they were transplanted, the olfactory neural stem cells differentiated into the cell types that surrounded them. Therefore, the olfactory stem cells seemed to be able to sense their environment, and then assume the same cellular identity as their immediate neighbors. While such work must be replicated with human olfactory stem cell before they can be considered for human clinical trials, such results are certainly encouraging.